As a college student, I am broke 99.9% of the time, but I have a love for makeup and basically anything beauty related and can guarantee that any time I have a cent of extra money I am spending it on makeup. That being said, I have found a few ways to cut corners and save some money here and there, or use the money I’m spending to benefit me at a later time. These are my favorite tips for shopping for makeup on a budget! 1. Sign up for rewards programs! 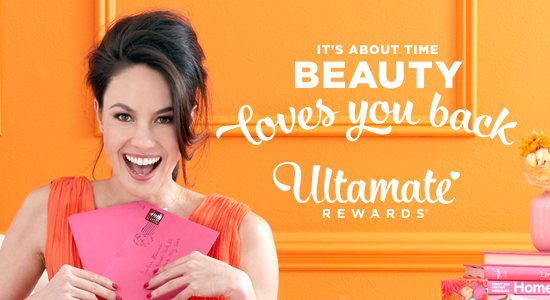 Through the rewards programs at Ulta and Sephora specifically you earn a point for every dollar you spend, at first. The more money you spend the more points you earn and after a certain number of points depending on the reward programs you have the opportunity to earn more points for every dollar spent. Through Sephora’s rewards program you can use your points towards FREE products, which change weekly. Ulta on the other hand lets you use those points to get money off-100 points=$3 off. Those coupons can be used towards anything in the store, which is a great way to get higher end makeup for a more affordable price! Another perk to signing up for these rewards programs is that through both Ulta and Sephora, you get a free birthday gift! So, just for existing and having a birthday you can get free makeup, no purchase required! 2. 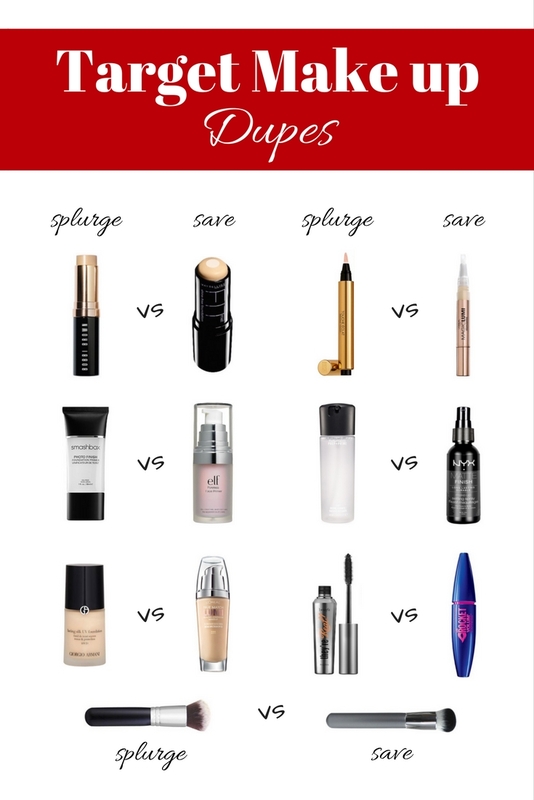 Find drugstore dupes for high end products! This has been a huge money saver for me. Lots of YouTubers do videos where they test these dupes, and sometimes find that they prefer the affordable product over the expensive product! You can find a lot of dupes on Pinterest and on blog posts; sometimes you even find your own, and that’s a lot of fun, too! I always saw ads for this website but never thought twice about it, just because it didn’t seem like something I would be interested in. Then, a friend of mine told me that you can buy brand new, never used, high end makeup on the website and since then I have not been able to get off the app! It’s a great way to try makeup products without breaking the bank! And you can sell things on the website as well, so you don’t even have to touch your bank account to buy makeup! 4. Use coupons as often as possible! A few times a year, Ulta will send out a 20% off of everything coupon and Sephora also sends one out about twice a year. It doesn’t seem like a lot, but you can combine the coupon with your points, so as long as you save up the points you are earning, you can get a really good deal on some products you’ve been eyeing! Coupons are sent out through Ulta all the time-seriously take advantage of them whenever possible! That being said, take advantage of sales as well!! 5. Take advantage of gifts with purchases! This is a great way to try a product from a brand you like without paying for it and risk wasting your money! Before heading to Ulta or Sephora, check online to see what brands are offering gifts with purchase! Keep an eye out in stores as well, sometimes they have deals in store that they don’t have online. Keep in mind as well, at Sephora, any in store purchase is supposed to come with a few free samples and all online purchases through both Sephora and Ulta come with samples as well. If you’re going to spend the money, you might as well get the most possible product for the price of a few products! 6. Just because a product is expensive it is not necessarily good; on the other hand, just because a product is inexpensive does not mean it isn’t fantastic! I am constantly reminding myself of this before I splurge on a product. The best thing you can do to save money is read reviews, watch YouTube to see what beauty vloggers are saying, and as your friends! And always keep in mind, if you don’t like a product you CAN return it!! Get your money back and spend it on something you’re actually going to enjoy and use! I hope these tips help you save some money and find some awesome products that you love using! Happy shopping!! Hey everyone! My name is Emily Barry and I am currently a senior at SUNY Oneonta! I am a biochemistry student and when I'm not drowning in assignments, I like to read, spend time with friends and family, and binge watch shows on Netflix! Keep up with my articles or follow me on Instagram/Twitter (@emilyrose0328) to get a glimpse at what's going on with me!